Last week SAS inaugurated flights to San Francisco International Airport from its main hub in Copenhagen. A large Scandinavian contingent included SAS CEO Rickard Gustafson, who agreed to a lively Q&A with The Bay Area Traveler-TravelSkills! Our warm spring weather was a big hit for the shivering Scandos, who have endured a longer-and-colder-than-normal winter. SFO welcomed the first SAS A340 with a water cannon salute on a bright warm Monday afternoon. There was also an elegant dinner at the Asian Art Museum where former San Francisco mayor Willie Brown offered his frisky and fun perspective to a crowd of consular and international business types. Word at the dinner was that the active Gustafson (with his teenage kids in tow) took several sweaty morning runs to soak up the sun and scenery. TravelSkills: Why did SAS decide to come to San Francisco? What is it about our city that drew you here? Gustafson: SAS has for almost two years experienced increasing interest from our clients towards this destination. Thus, opening this route is obviously a response to the demand from our customers. Then, taking a closer look at the city and the possibilities of the region, we realized that this was a good opportunity to return to the West Coast. [SAS had previously flown to Seattle and Los Angeles, but no more.] When you look at topics like innovation, ambience and the spirit of this large – and somewhat small at the same time – West Coast city it’s clear that San Francisco has plenty to offer. TravelSkills: Why should a business traveler from San Francisco choose SAS over United or Lufthansa when traveling to Europe– all are Star Alliance, so what’s the difference? Gustafson: There are many good reasons for flying with SAS. We offer a convenient and time saving solution with good connections in our Copenhagen hub. [SAS departs SFO at 5:35pm and arrives in Copenhagen-CPH at 1:15pm. At around 2-3 pm, a large bank of SAS flights departs CPH for major cities in Northern Europe] SAS is renowned for our high service level and also the authentic Scandinavian product and experience on board. TravelSkills: Why did SAS choose SFO over the other gateways (like LAX or SEA)? Because it’s a big hub for Star Alliance partner United? Were incentives involved? Gustafson: We chose SFO primarily due to good connections with United. Then it turns out that we have a really good time slot at SFO which makes both transfer and customs extremely smooth compared to what our customers can experience in other US airports. Avoiding two-hour lines in immigration is definitely a good selling point. Regarding incentives. SFO offered SAS the normal incentives such as marketing support and reduced landing fees. TravelSkills: How is Copenhagen as a connecting hub? 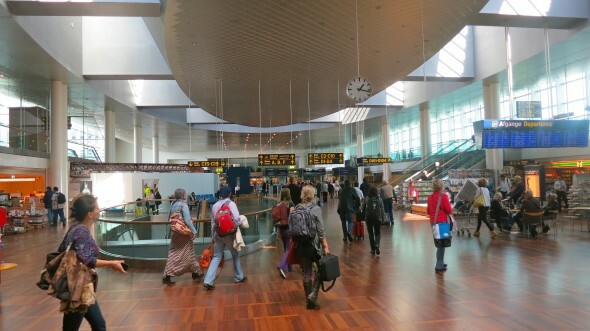 Gustafson: The airport offers fantastic connection times and close proximity from intercontinental gates to European gates. Furthermore, SAS has many connecting routes out of Copenhagen to Scandinavia and Europe making it seamless and easy for the traveler. 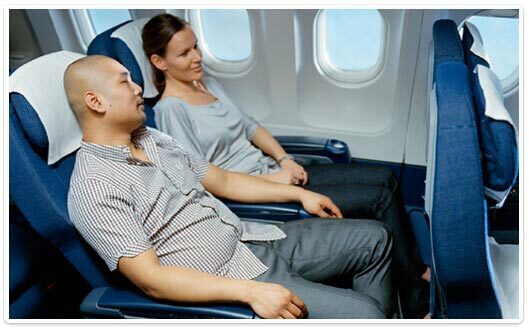 TravelSkills: SAS currently has “angled lie flat” business class seats compared to other airlines like United with true lie-flat seats– are there any plans to change this? Gustafson: We are looking at new solutions for upgrading our cabin on long haul, but we can’t be more specific than that. TravelSkills: Does SAS offer a premium economy product? How is that? 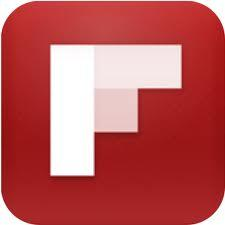 How does it compare to business… and to regular economy? 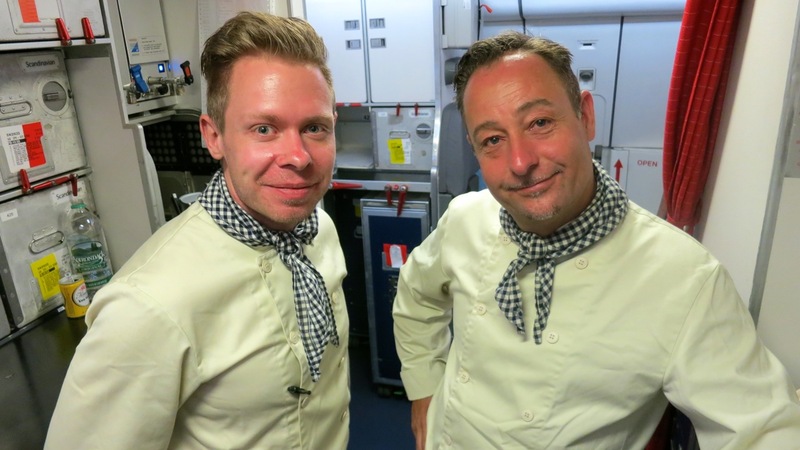 TravelSkills: What is inflight service like in business class on SAS? How does it differ from what a traveler would get on a US carrier? Is it Scandinavian-style service? What does that mean? 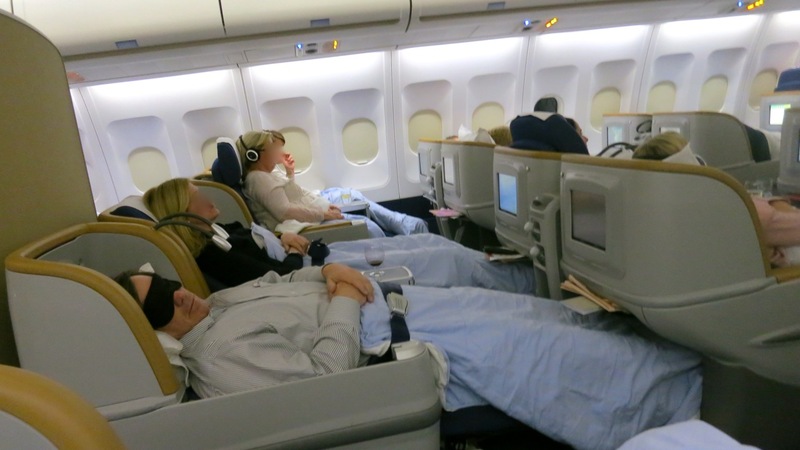 TravelSkills: Is SAS owned or supported by Scandinavian governments? How does that work? Gustafson: SAS is listed on Stockholm, Oslo and Copenhagen stock exchanges. The Swedish government owns 24% of shares, the Danish government owns 14%, the Norwegians own 14%, and 7% is owned by the Knut och Alice Wallenberg Stiftelse Foundation. The other 41% is on the open market. TravelSkills: If I have a three-day business trip to Copenhagen with a little free time on my hands, what are the TWO things I must do when I’m there? Gustafson: Experience the concept of Danish “hygge” (means have a good and cozy time) by visiting different town parts: Nyhavn, Tivoli, the Carlsberg grounds as well as parks and places around the town. And going to Copenhagen you must try many different restaurants – the city is known for premium food (new Nordic cuisine) with the world’s best restaurant Noma and several Michelin restaurants.